Let's deal with these problems before they become a threat. "30 percent of people taken into police custody across the state were receiving psychiatric treatment in the community at the time of arrest." This week is Mental Health Week. Mental illness is something that directly or indirectly touches us all. Almost one in five Australians will experience a mental illness over any 12-month period and, sadly, suicide in Australia is on the rise, as shown by recent data from the Australian Bureau of Statistics. Our society has made great gains in breaking down some barriers around mental illness and suicide to ensure they are less taboo topics than in the past -- and no doubt this has saved many lives. But something we need to explore in more detail is poor mental health as a driver of crime. We know that an astonishing one third of people in the Victorian prison system have a mental illness. This is compounded by the fact that many people in the prison system experience multiple and complex forms of disadvantage such as unemployment, drug and alcohol problems and homelessness. Around half of all prisoners are experiencing two or more of these factors. Poor mental health is not an excuse for committing crime. But it helps explain why some people commit offences and act in ways that can have serious consequences for themselves and the broader community. Clearly there are many missed opportunities in terms of providing support to these vulnerable people in the community as a way to stop crime before it occurs. 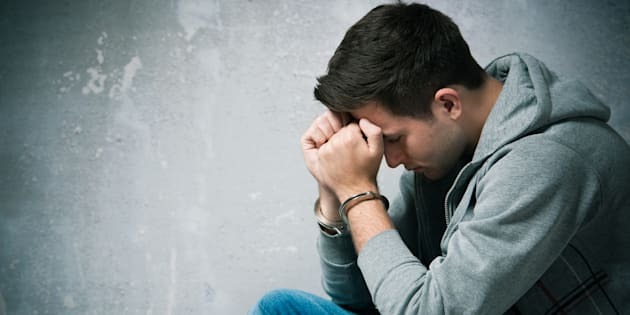 Research by Swinburne University shows that more than 30 percent of people taken into police custody across the state were receiving psychiatric treatment in the community at the time of arrest. If we can more effectively help people address the problems they are dealing with before they become a threat to themselves and the community, we can help create safer communities while supporting people to become productive members of society. If people with mental illness end up committing a crime and land in prison, the reality is that we fail them again because adequate treatment services are not provided in custody. A report published last year by the Victorian Ombudsman found that in 2012-13 there were 2,237 prisoners in Victoria with a psychiatric risk rating but only 68 mental health beds available in the prison system to cater for this need. The same report found that prison health services are vastly under-resourced -- with primary health care staff spending an average of just 13 minutes on each prisoner. Given the vast majority of prisoners will one day re-enter the community, if our prison system is not helping people address these serious problems, it means on release many people will continue to struggle with the same issues. More than half of people in prison in Victoria have previously served at least one other sentence. This shows that the current approach is not an effective use of taxpayers' money, it is not addressing the disadvantage that lies at the heart of offending, and it is not creating safer communities. This is why Infrastructure Victoria's 30-year draft plan, published last week, is so important. The plan, which is now open for consultation, features a range of short and long-term infrastructure recommendations spanning the state's health, transport and justice systems among others. One of the recommendations is for new or expanded forensic mental health facilities within the next five to 10 years. This service is currently provided by Thomas Embling Hospital which provides care for patients in the criminal justice system in need of psychiatric assessment, treatment or care. Thomas Embling Hospital only has 116 beds and there is a waiting list of up to a year for patients with significant mental health issues. Without a new or expanded facility, Thomas Embling will continue to operate at capacity, patients who miss out will not receive the support they need in the mainstream prison system and many people will leave prison dealing with the same problems. This is a vital project that will ultimately make a huge difference to community safety. The links between poor mental health and crime are clear. Now it's up to us as a society to do something about them.